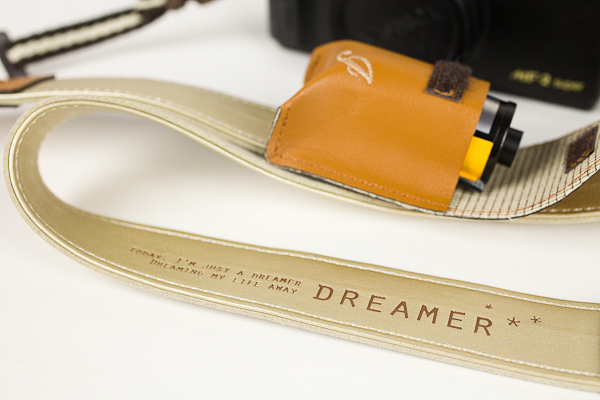 I’m in love with this vintage inspired fashionable leather camera strap from Photojojo, inscribed “Today, I’m just a dreamer, dreaming my life away”. If you have someone special in your life who is a photography-junky, order one of these Dreamer straps and you’ll have a friend forever! Ha ha! 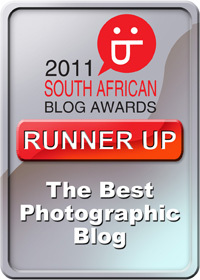 I have a camera strap already (not this one though) but I love all things cute and gimmicky! I like the ability to add in extra film rolls. Makes for quick access and you don’t have to wear one of those dodgy camera jackets! You can also use the “film” pocket for extra memory cards, if you are shooting digital. 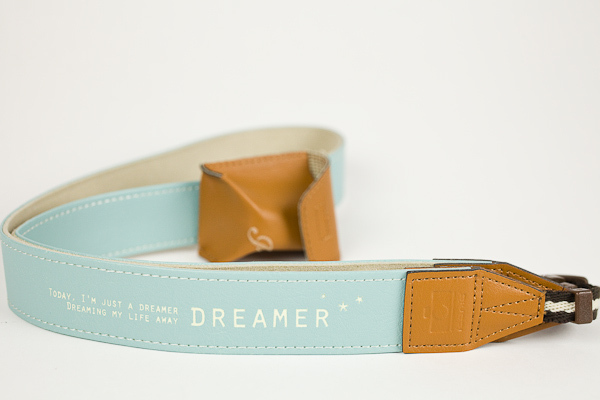 do you know if these dreamer straps fit lugs on a hasselblad? ?